​Alexis Sanchez and Nemanja Matic have returned to the Manchester United squad ahead of the side's crucial Champions League quarter-final second leg against Barcelona on Tuesday. After a Luke Shaw own goal saw the Catalan giants claim a priceless away goal and 1-0 victory at Old Trafford in the first leg, the Red Devils have it all to do in the return fixture at the Camp Nou. In a major boost to their hopes of staging a comeback, ​United manager Ole Gunnar Solskjaer confirmed after the side's 2-1 ​Premier League win over West Ham on Saturday that Sanchez would make his long-awaited return from injury against Barcelona. Further to Sanchez, ​The Times also confirm that teammate Matic would be available for the clash after recovering from a muscular problem, although the Serbian international's midfield partner Ander Herrera is still out injured and did not travel with the rest of the squad on their way to Spain. Both Sanchez and ​Matic were named among the 22-man travelling party, whilst ​Goal report that Matteo Darmian has also been included in the squad following a spell on the side-lines. 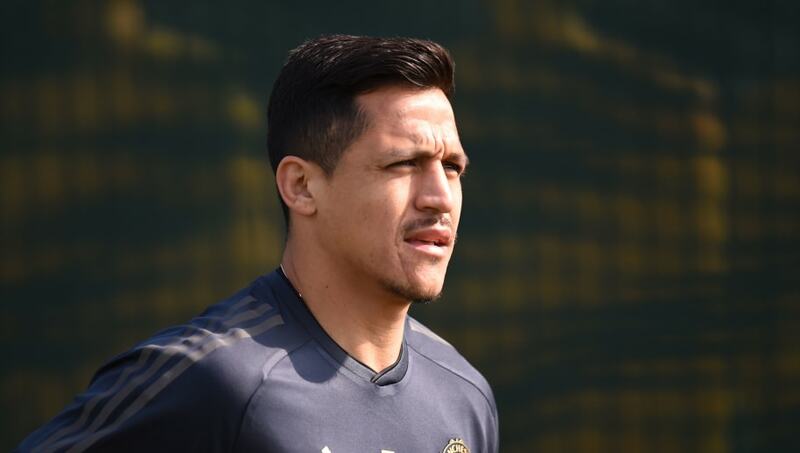 Chile international ​Sanchez has not played for the Red Devils since being taken off with a knee injury during his side's 3-2 victory over Southampton on 2 March, but is in line to face his former club on Tuesday, where he made 141 appearances across a three-season spell.